Some weeks pass by in a slow hum-drum, feeling as if they’ll never end. Others whiz by in a flurry of activity, appointments, engagements—and when they’re over, you wonder where they went. This week’s a pretty big one for me! It commenced with the most important day in the Christian calendar, the culmination of the greatest love story ever told—resurrection Sunday. Without Christ rising from the dead, the cross would’ve been in vain, death would’ve had its victory. But it didn’t. Pondering this while writing this blog reminded me of an amazing book I read many, many years ago by Gene Edwards (and I seriously need to read it again). The Divine Romance is the story of the Crucifixion and Resurrection told from the angels’ view. 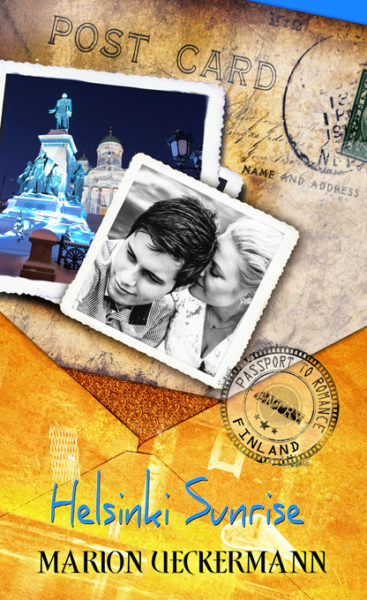 If you haven’t read it yet, and love a great romance, I highly recommend this book. Sunday the 16th was also my late Daddy’s birthday—our second one without him. He would’ve turned 89 years old. The day was also the date I’d chosen to release a book of short stories I’d written over a decade ago documenting a few of my dad’s favorite fishing and hunting stories. I thought releasing Bush Tails on this special day would be a great way to honor his life. So, happy birthday, Daddy! I love and miss you endlessly. I’m posting the book cover here because even though this little book is far from a romance novel, it sure was a labor of love. The excitement of this week just keeps coming. 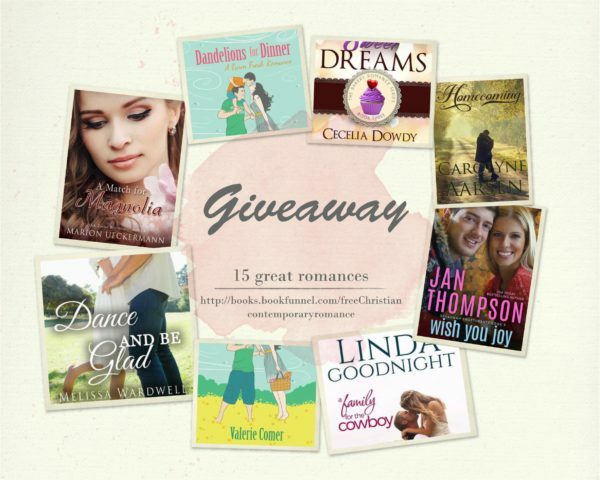 A Bookfunnel promo put together by fifteen great Christian romance authors for your reading pleasure, also kicked off on the 16th. 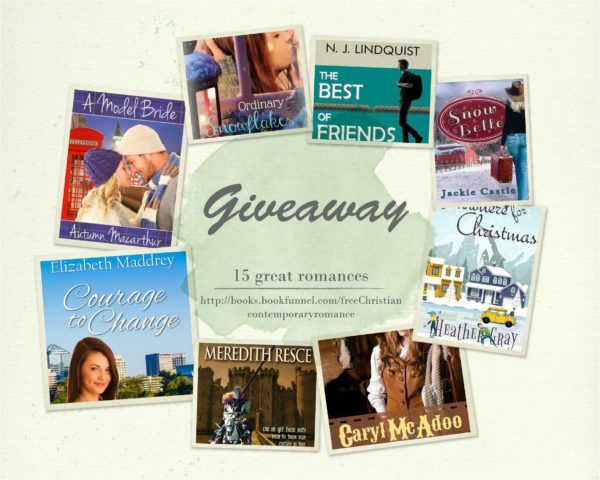 Pop on over to our promo page and receive a free book from each author whose newsletter you sign up for. This promo runs through to April 30th. Almost as exciting as all the news above, on Thursday hubby and I wing our way from near the bottom of the world to the top as we leave South Africa for a six-week holiday in Finland, England, and Italy. We’ll spend two weeks in Finland visiting my son and daughter-in-law in Helsinki. We’ve seen Finland in summer and winter, so this time we thought we’d experience the country in spring. I’ll miss picking berries in the forest though, as my hero and heroine did in Helsinki Sunrise. Unfortunately, spring isn’t berry season. I never thought I’d say it, but I’ll also miss the opportunity of jumping into the avanto (hole in the ice). I was surprised after taking the plunge into that icy water, that I entertained the thought of doing it again some time. Not one to let an experience go to waste, especially one done in the name of writing research, I just had to do this when we visited Finland in the winter of 2015. 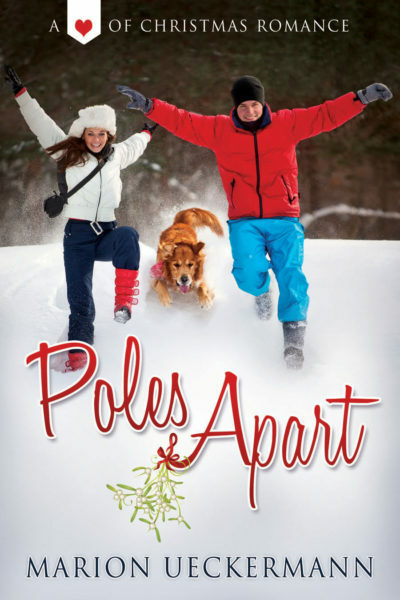 So I had my hero and heroine in Poles Apart taking part in this crazy Finnish custom. After that we head off to England to visit my brother and his wife. Whilst there, I’m hoping to be able to drive up to North Yorkshire to see a friend who lives fairly close to the moors. If we do manage to include this in our itinerary, I plan to visit Robin Hood’s Bay and Scarborough, which were the storyworlds of A Hero for Heather and A Husband for Holly in my Seven Suitors for Seven Sisters series. A visit to St. Stephen’s Church is definitely on the cards of I do get up there. And I’d love to take a trip to Levens Hall in the Lake District, an important location in almost all my stories in this series, starting with A Match for Magnolia. The last eleven days of our holiday will be spent in Italy. This is a first for me. I tagged this leg onto our trip because I have two books coming up toward the end of a year in a multi-author series project that’s currently underway. So, I’m off to research Rome (three days) and Tuscany (four days) where my two stories will be set. 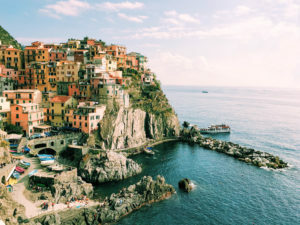 Other planned stops in Italy are Pisa, Florence, Venice, M odena, and Cinque Terre. I’m especially excited about the latter, not only for its interesting beauty, but because an old friend of mine who lives in Switzerland, and whom I haven’t seen in sixteen years bar one random ten minute running into each other at a car rental in Cape Town—far from both our homes—is coming to spend the two days we’re there with us. As I write this blog, I cannot wait for this full and exciting week to begin. Neither can I wait to write all the stories I know will be sparked from our overseas holiday. What’s your week been like? What will it still hold? I’d love to hear from you. I love that you wrote and published BUSH TAILS to honor your father, Marion. What an adorable cover. Have a great trip and be safe! Thanks so much, Jill. The cover evolved over a period of time, but I was really happy with the end product. The funny thing about the cover is that the 3 cartoon characters actually look a little like the three men they depict :) Isn’t God great in looking after the tiny details for us? Hi Marion, Bush Tails is awesome- what a beautiful way to honour your dad:) What a couple weeks ahead for you! I pray you have a safe and wonderful holiday- I teach senior history- to go to Russia…Italy…Finland…England…enjoy, I look forward to seeing photos and hearing about your experiences on this blog and in your future books. This week saw the end of Easter Big Camp (our annual church camp over Easter), the end of a wonderful 2 week term break and the beginning of term 2 of school. Thanks so much. I so wanted to preserve my dad’s favorite stories for ever. I knew one day he’d be gone, and if I didn’t do something, the stories would be lost. All the best for term 2! Hope you had a good break. Hi Marion! Best wishes and safe travels. Spring has finally sprung in the Midwest. God’s creation is glorified in the blooming (bluming) trees, shrubs, and flowers and the chirping of birds. 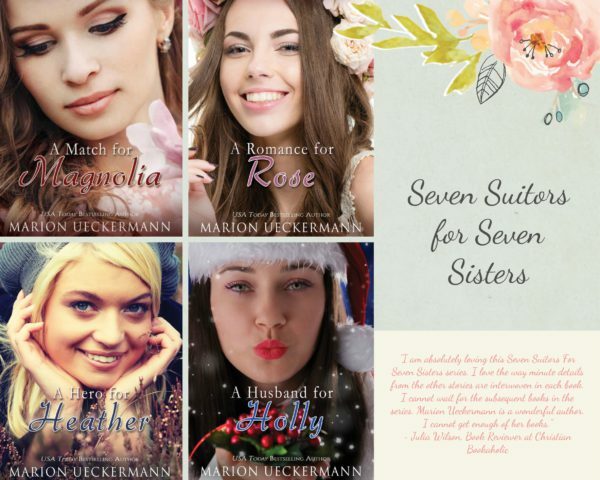 Reminds me of your series Seven Sisters – the Blume sisters. Enjoy your vacation visiting with family and friends and doing research. Thanks, Renate. LOL, I packed my thicker hat in … I took it out … I shoved it back in. The weather is so crazy at the moment, who knows what temperatures we’ll have. Friends in Budapest woke this morning to snow, and my son says Helsinki is a chilly -7 celcius today. I know your dad would be honored to know that you took the time to write a book in his honor. Ias I read about your get away, I realized how badly I need a vacation. I hope you take lots of pictures to share with us on your blog. Bush Tails! love that title.. Sounds like the fellows in my life.. on my wanted list! I’m exhausted reading about your plans! I hope you thoroughly enjoy your trip and your time with family and friends in far off lands. Thanks, Autumn. And I CAN”T wait to meet you. Really should have put that into the blog :) Got my London tube map printed and my route plotted :) See you on May 3rd! Thanks, Margaret, will do :) So glad you got A Match for Magnolia. Enjoy the Blume sister’s stories. Research travels are the best kind. Have a great, safe trip……sounds like a lot of fun! That is a full and exciting vacation. We are trying to find a house this week. LOL, probably too full and I’ll need a holiday when we get back, Diana. Happy house hunting! Wishing you success. You are right – What a week!! I only wish your daddy could have read your book! Hope you are having a wonderful vacation!! Thanks, Becky. 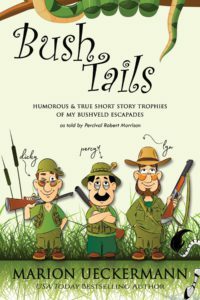 FortunateLydia, my dad did get to read Bush Tails as I wrote it a decade ago. But I do wish he’d seen the final product. Sounds like quite an exciting trip. I hope you have a good time. My week has been pretty usual but I’ve been able to take time to get outside and enjoy the beautiful unseasonably warm weather we’ve been been having. Thanks Trixie. I must admit I can’t wait to experience Italy!